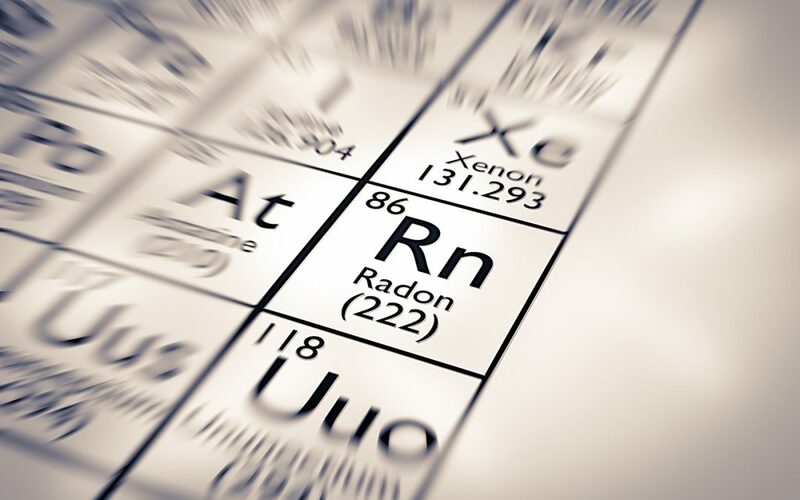 Radon is a colorless, odorless, and naturally-occurring radioactive gas. Although it occurs in nature, this does not mean it is safe to have high levels of radon in your home. In fact, it is harmful when inhaled into the lungs. Once inside of the lungs, radon can damage a person’s DNA and cause a variety of health issues including cancer. There are many homes in the United States that contain radon because of where the home is built. This gas can seep into the living space by way of cracks in the walls, foundation, and flooring. Each year, as many as 21,000 people die from radon-related health issues. Radon occurs naturally, but how does this process actually come about? Radon will form when uranium that is in water, soil, and rocks breaks down over time. The radon gas will be released into the dirt and if your home is built over it, you may be susceptible to radon in your home. Many people aren’t even aware they have a radon problem, so it’s important to have a professional test for levels of radon in your home. If there are even the smallest of cracks in your foundation or in your walls, this can cause radon gas to leak into your indoor living space. Gaps in the flooring, open spaces around pipes, fireplaces, and furnaces can all allow radon leaks. Even well water could be an issue. If you come into contact with radon outdoors it is not as dangerous as indoors, because you are not confined to a small space with the gas. Radon in your home is concentrated, which increases the level of exposure. A radon specialist in your area can perform a comprehensive test that will provide you with precise results. As many as one in fifteen homes in the United States has a radon problem and many homeowners don’t know a problem exists. If you know that your home is in an area that is prone to radon gas, you should schedule a professional home test to check for elevated radon levels. It is important to always remember that no region of the U.S. is safe from radon and results can vary from one neighbor to the next. If there is radon in your home at unsafe levels, a radon specialist can advise you towards the best course of action. There are units that can be placed in your home that will vent radon gas immediately from the ground outside of your home. You will usually see radon readings occur in the basement and this is where the unit would go. Contact a radon specialist today if your home has not been tested for radon. Master Home Inspections provides home inspection services including radon testing throughout Southwest Virginia.